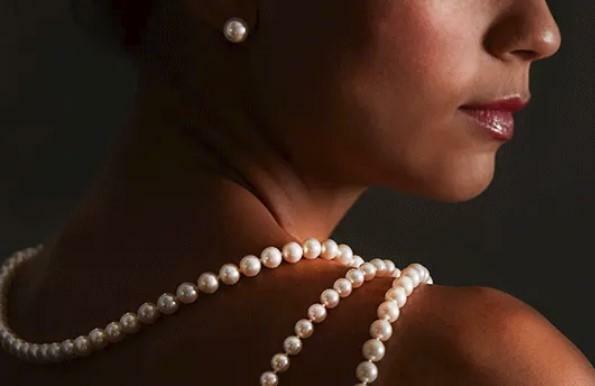 Akoya pearls are extremely gorgeous cultured pearls. They come from Akoya oysters. This rare species is usually bred in hatcheries when produced using pearl farming, which is the process of cultivating pearls on a farm. The superior Akoya pearl luster is what sets it apart from others. Akoya pearl color is generally white with rose overtones, which is why these popular pearls are so beautiful and radiant. The Akoya pearl surface is rounder and smoother than common pearls. They may look just like common pearls, but they are very different. 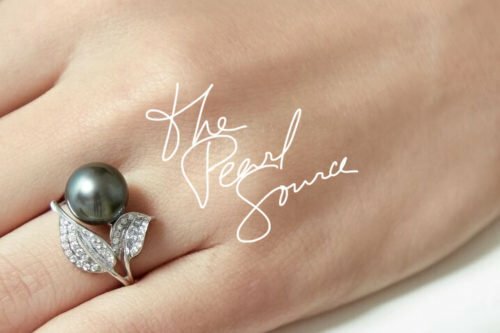 Typically, Akoya pearl size is much larger than common freshwater pearls. Akoya pearls are well known for their superior luster and color. Akoya pearl luster is much more vibrant than most other types, while Akoya pearl shape is generally round. FACT: Unlike most other saltwater pearls, Akoya pearls don’t come in exotic color variations, but rather pastel, subdued hues, ranging from white to rose, gray, gold, cream and silver. 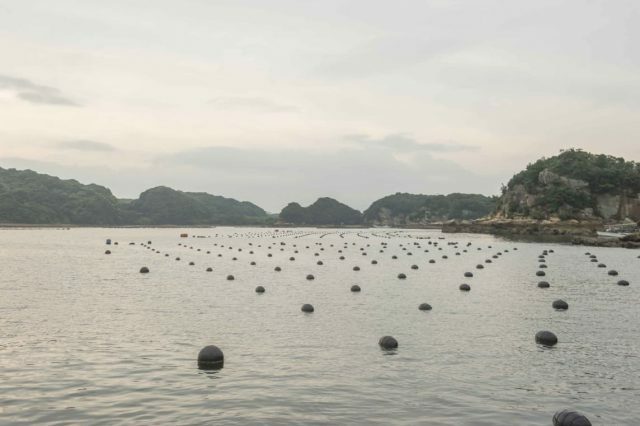 Generally, Akoya oysters are grown on Japanese pearl farms, in water. Farmers must nucleate the oysters to produce pearls. During the pearl nucleation process, the oyster is opened up, and a foreign object is inserted between its shell and soft tissues. This object, usually mantle tissue and a hard-shelled bead from an oyster that’s already produced high-quality pearls irritates the oyster. Eventually, the oyster will secrete nacre to counteract the irritation. A pearl is then produced with Akoya pearl quality. With typical Akoya oysters, it takes about 10-18 months for the cultured Akoya pearl size to be large enough for harvesting. 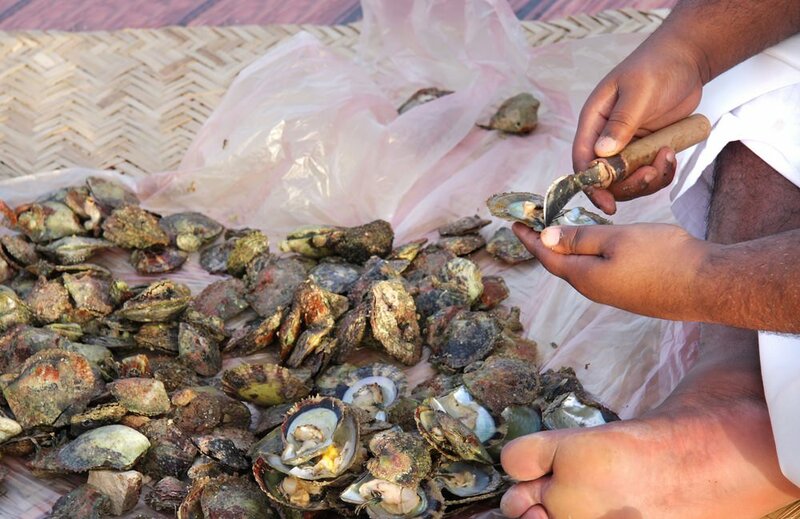 During this time, living conditions are carefully monitored by pearl farmers, who adjust water, food, and nutrients accordingly. FACT: Japan is the Akoya Pearl center of the world, followed by China, Vietnam and Thailand. Japanese farmers generally focus on harvesting the larger sizes, (7 mm and up), while also aiming for thicker, more lustrous nacres. The oysters are regularly lowered into and raised out of the water. This helps to manage their temperatures while creating the best conditions possible for producing pearls. When it’s time, each oyster is taken out of the water it’s growing in, opened up and checked to see if it produced a pearl. Akoya pearl shape is generally round, but can also be semi-round, drop and baroque, while Akoya pearl sizes vary. 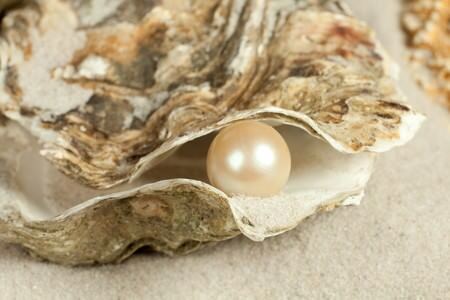 Unlike other oysters, Akoya oysters only produce one pearl each. Once they’ve been opened up and the pearl removed, these oysters are no longer of use for Akoya pearl farming. These oysters also have survival rates that are very low. Less than one-half of Akoya oysters survive the entire nucleating and Akoya pearl processing. And, less than 5% of the pearls harvested from Akoya annually are of high-quality, which is measured by Akoya pearl grading. This can also help determine the smoothness of the Akoya pearl surface. Valued for their incomparable luster and shine, Hanadama Pearls are the most treasured type of Akoya Pearls. Also known as the ‘Flower Pearls’, these utterly lustrous gems of the sea have a uniquely sharp reflective quality, without any blurring. Moreover, Hanadama Akoya Pearls have very thick, layered nacres, fact which contributes to the pearls’ unmistakable shine. Akoya pearl processing involves harvesting the Akoya pearls. To do this, first, the oysters must be removed from the water. They are then moved to a harvesting facility used as a nursery. Each shell is pried open to see if a pearl was produced. If there’s a pearl inside, it’s then removed by the harvester. Either way, all of the open oysters are discarded. Any collected pearls are placed in a receptacle and categorized by Akoya pearl color, luster, shape, and size. Because the oyster survival rate for Akoyas is so low, and each one can only produce one pearl in its lifetime, they are extremely rare. These gems are measured using Akoya pearl grading, to determine quality.